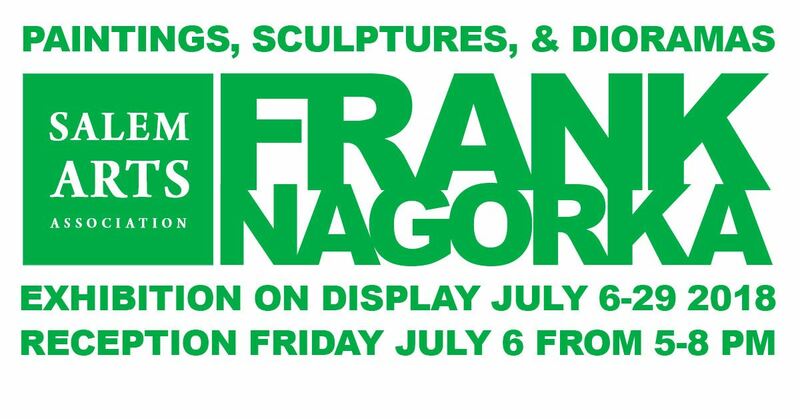 Salem Arts Association is pleased to present a solo exhibition featuring the paintings, sculptures, and dioramas created by Frank Nagorka. Frank Nagorka was born in Westfield MA in 1953. He studied art and English at the local college and received teacher certification in both in 1975. In 1983, he moved to the Boston area and has shown work in the city of Boston, Provincetown,MA ,Fort Lauderdale, FLA. And most recently here in Salem MA He continues to work out of his home in Lynn, Massachusetts.